Nick is a Chartered Physiotherapist who has a wealth of experience in the field of musculoskeletal Physiotherapy both in the NHS and private practice. 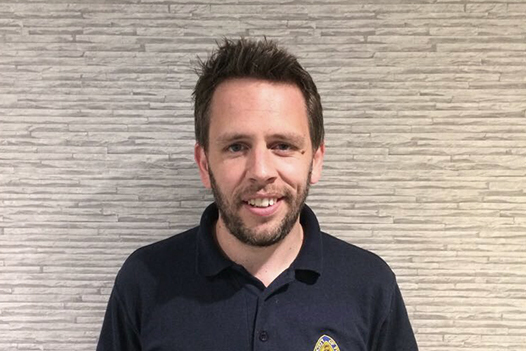 Nick specialises in musculoskeletal physiotherapy and sports injuries. He has worked with European Tour golfers, British fell runners, elite level rugby players and national level triathletes. Nick has a particular interest in golf and is a Titleist Performance Institute Associate. I was struggling with full range of movement in my shoulder. I had a short course of physio here and my shoulder really does feel hugely improved. The physio Andy is very knowledgeable and judged the kind of exercises that I could do without much interruption to my day. Very comfortable consultations from a personable professional in a very smart, modern, clean clinic which is easily accessible especially with the new A555, with parking just outside the clinic. I have recommended this physio to my husband because he has back issues through his building work. I had a couple of “twinges” when I first went to see Andy at the Physio Circle but my main concern was lack of movement in a toe joint following bunion surgery. Andy worked really hard on the joint and surrounding area of my foot which has given me much more movement and stopped a few of the other knock-on pains I was getting from lack of muscle movement in my leg. I cannot thank him enough. Moving on, the facility is really pleasant and the atmosphere very friendly. I would not hesitate to go back in the future.